Labna has to be the easiest cheese to make. Take a look and I’ll show you step by step instructions. You can use it on slices of cucumber (instead of crackers), to fill mini peppers, use as a dip, or as part of a snack selection. I like to make labna with lemon and herbs, but you can vary the herbs to your liking. Mix the yogurt with the garlic, salt and lemon zest. Place a sieve lined with muslin cloth or a new kitchen cloth, over a large bowl. Pour the yogurt mixture into the lined sieve and allow the liquid to drain off for 3-4 hours. You can do this at room temperature on your kitchen bench, or leave it in the fridge overnight. 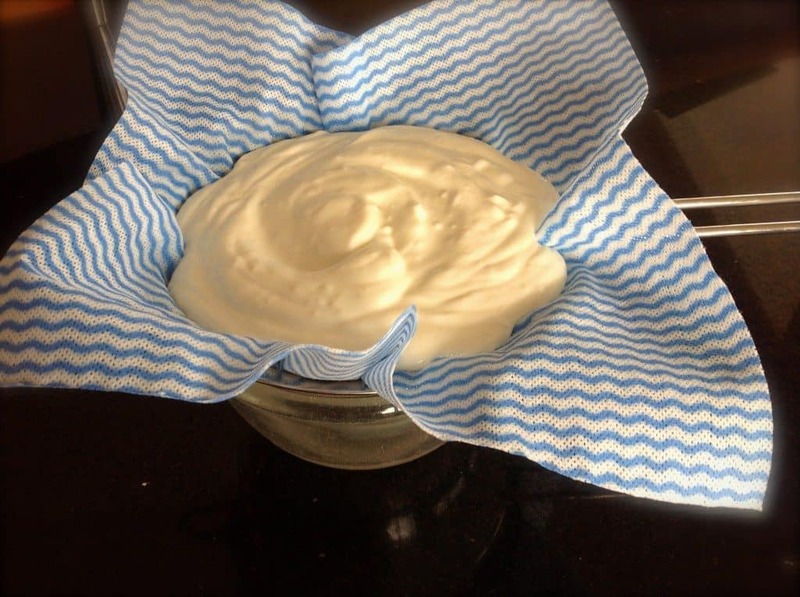 You may also want to gather the cloth that is holding the yogurt mixture, and gently squeeze any further liquid out. 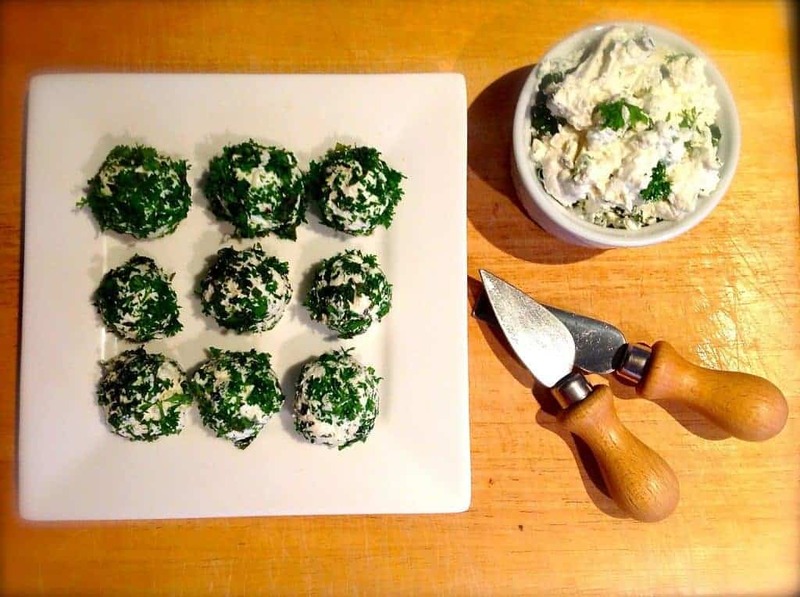 Discard the liquid (whey) then roll the cheese (Labna) into small balls and cover in the fresh chopped herbs. The Labna can be stored in a jar filled with olive oil, and be kept for 2 weeks in the fridge. 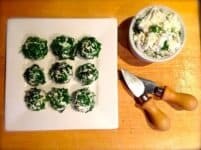 You can also mix the Labna with the herbs and sour cream to make an easy low-carb dip. This looks so yummy! Will a regular kitchen washcloth work or do you need a special type of cloth? I used a brand new regular kitchen cloth for the labna, easy and cheaper than using a special cheese cloth. I like to use my whey to make type of lemonade. Lemon ginger mint. You can leave at room temp for a day and it will ferment making it slightly fizzy with a hint of yogurt flavor. Tastes “whey” better than the ones they sell in store. That’s a really cool idea! I’ll have to try that! Why would you recommend discarding the whey?? This can be used to make sauerkraut and other fermented goods that are excellent for gut health! Damn good point Alison. I must start experimenting with fermenting recipes. Can also use kefir replacing yogurt. And using whey in preparation of fermented veggies, ricotta or in last but not least feeding hog or giving to plants – great fertilizer. Do you leave the balls in olive oil without herbs then coat as you remove them? You can do either, but is nicer if you press the herbs into the labna then the olive oil will become flavoured too.